Model Bridge Building for Kids - Join the Building Craze! Another school building project! What materials can be used? What design should it be? Inevitably the parent has to get involved and help. Where do you, the parent, find the information, designs and materials to help your child make a success of their model bridge building project? As if you don’t already have enough to keep you busy, now you have to find time for this in your schedule. 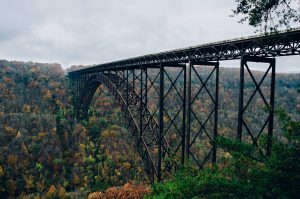 In this post I will share with you some great resources about bridge building with designs and instructions. At the end I will also show you a short-cut with a really great model bridge building kit that you can purchase to cheat your way through this. You don’t want to miss out on these projects because they are a great learning tool for the kids. They develop a lot of technology and engineering skills through these types of projects and you want to help them to get the most out of it. Firstly, you can help your child design and build their own model bridge. This will usually be out of materials that can be found at home like skewers or popsicle sticks. The first resource I found was a guideline for a bridge building competition. It is a MS Word document with detailed guidelines, instructions and diagrams. This is a great resource for learning about the basic principles and truss designs involved. If you are wanting a complete DIY solution then this resource will be a great help. Another good resource is a WikiHow article about the topic. It also gives a lot of detail and it shows how to build one out of skewers. This again is a complete DIY option. There is an easier way to conquer these projects without cutting and gluing skewer sticks or popsicle sticks. I have reviewed 2 products that you can purchase to give you an unfair advantage. This product has designs and pieces to enable a child to build 13 different bridges, one at a time. It is not a big set, with only 207 K’Nex pieces. The great thing about a set like this is that it leaves very little work for you, the parent, to do on the project. Of course you can help, if you want to. The instructions are easy enough for a child to follow on their own. With this set they will be introduced to the different types of bridge structures. The second product is also from K’Nex Education. This is a really great set and, in my opinion, the best model bridge building kit available. 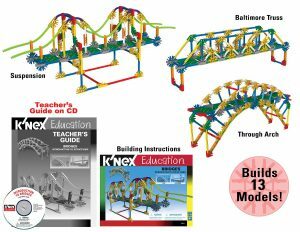 The K’Nex Education Real Bridge Building set has a whopping 2304 pieces and allows the budding engineer to build 7 different bridges, each one between 5 and 6 feet in length. If the pieces in the set are divided into 2 equal sets then 2 bridges can be built at the same time. With the instructions and teacher’s CD included, this will give you the unfair advantage and the kids will have an awesome bridge to show off. Do you prefer the DIY method, or would you opt for one of the sets mentioned? Please leave a comment below and share your thoughts or questions. Bridge building is great for learning engineering and physics so it would be an excellent thing to introduce to kids.I used to have a computer program where I built bridges and tested them by simulating a train running over it, that was fascinating. 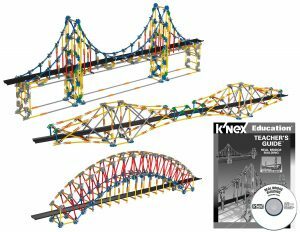 I am wondering if it is possible to test the Kâ€™Nex Education Real Bridge Building set in the same way or do you just have to follow instructions? There are instructions for some bridges, but I see this as an introduction to the different structures. After that you can design your own. There are plenty of pieces in the real bridge building set, so you can do a lot of experimenting and come up with new designs and then test them. Whao, lovely, lovely, lovely information. Am really loving this review. Good job. But, you did not include links to the products in this article. I love the bridges the kids can build out of this products. its really a good way to encourage our budding engineers. Thanks for bringing this to our knowledge:) i will definitely bookmark this site to come back for more. I will take a look at the product links, thank you. There are supposed to be links to the reviews of the products themselves. There really are some great bridge building sets on the market. I wish some of these were around when I was at school. I also like the DIY option, but it is a little limited in what the kids can build by themselves. These kits are a great way to introduce them to the different types of structures and engineering concepts used in building bridges. they are also great for school projects.